Meet Mrs. Mary Margaret O’Brien. She’s been heading the Archdiocese’s fundraising department, but now the Archdiocese has given her a new task. Instead of doing a TED talk, she’s doing GOD talks, to make sure everybody stays on the straight and narrow. 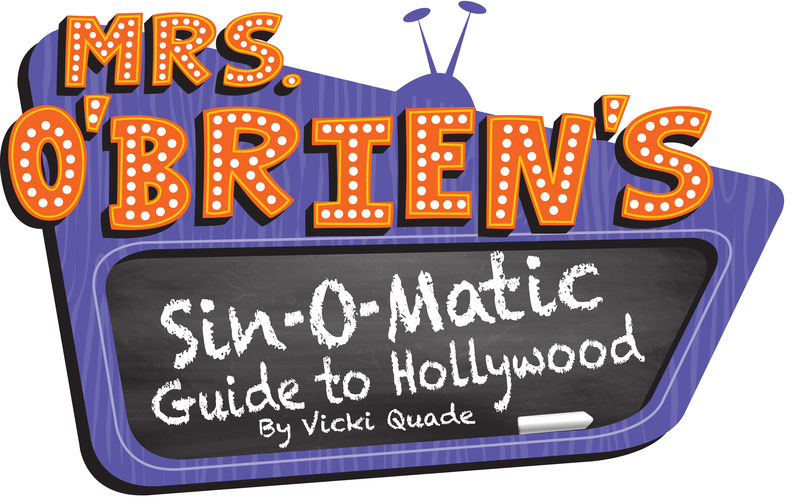 She calls her series: Mrs. O’Brien’s Guide to Everything. Mrs. O’Brien. A Lotta Attitude. More laughs than you can stand! These four hilarious comedies are the newest series by Vicki Quade. 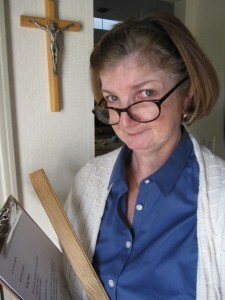 She’s one of the authors of the hit comedy, Late Nite Catechism, and the hit Bible Bingo series. “Mrs. O’Brien never fails to leave us laughing hysterically,” said one Ticketmaster fan who caught one of our shows. Pick one of our newest comedies for your next fundraiser. Also available for theatrical bookings. The Seven Deadly Sins of Bad Behavior? You won’t forget them after getting this lesson. Every parish needs a fundraiser. Just remember: no profit, no parish. And Mrs. O’Brien has the answer. A calendar of famous saints & notorious sinners! Get ready to vote. Take a trip to Hollywood with Mrs. O’Brien as she examines movies yesterday, today, and Lord knows what’s happening tomorrow. There’s even fashion tips for the Red Carpet. Is it Christmas or Giftmas? In this lesson, Mrs. O’Brien looks at Santa and Jesus and tries to figure out how we can blend the two. Is your parish looking for a new holiday pageant? She’s got the answer.